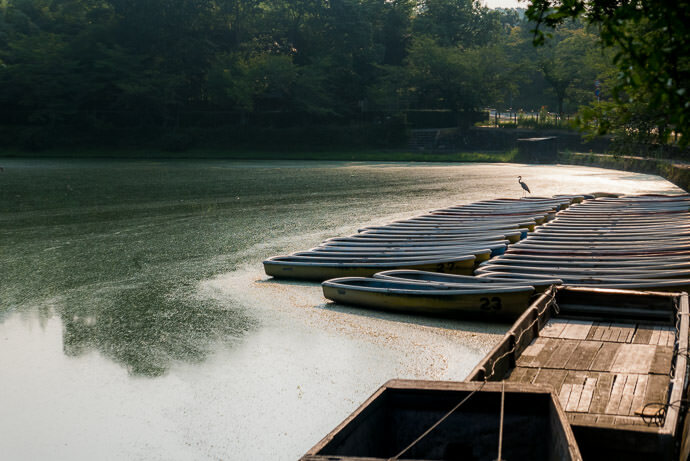 On a morning bicycle ride other day to Kyoto's western mountains, I made a few snapshots of Hirosawa Lake. 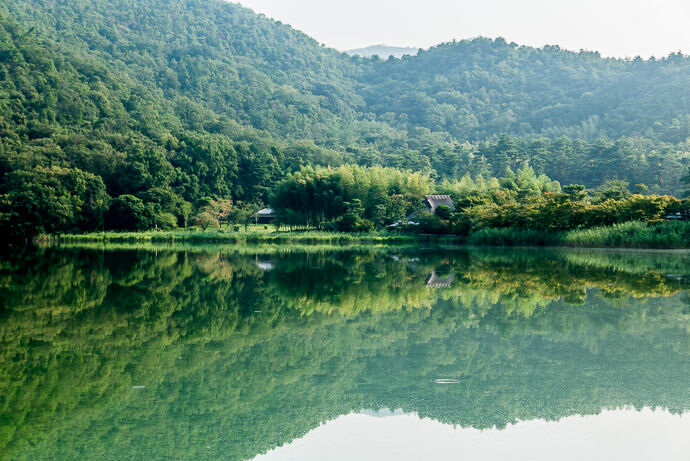 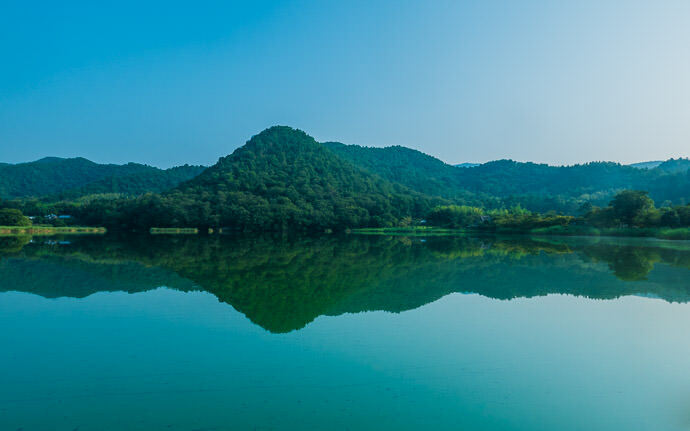 It feels like it's a million miles from anywhere, but it's actually just one mile northeast from the teeming tourist crowds in the Arashiyama area. Did you mean Clam or Calm? 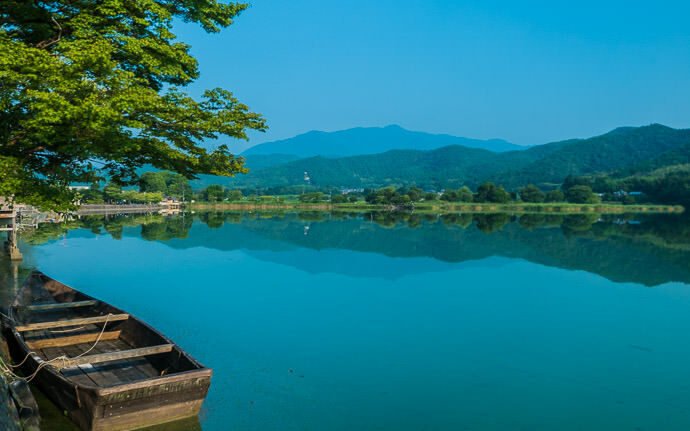 But miles away from the teeming tourist crowds of central Kyoto, is it not ?